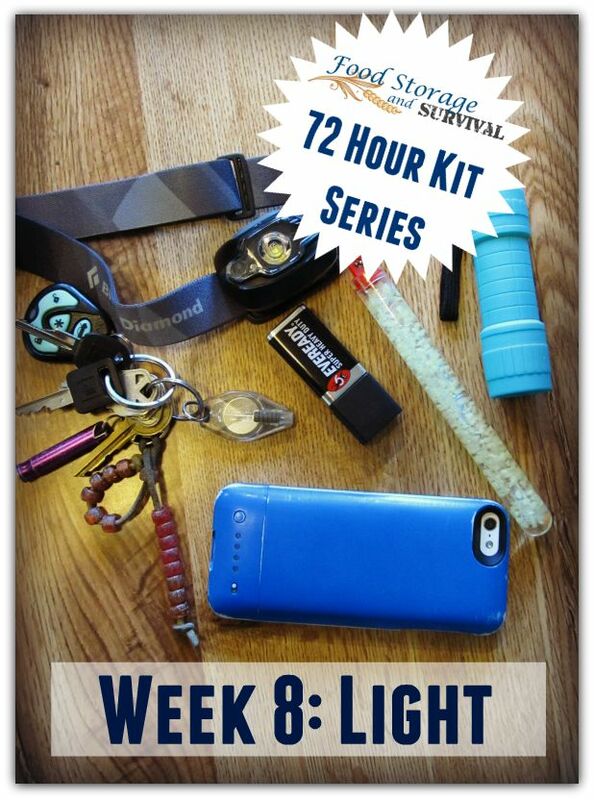 We’re back for another installment of building your 72 hour emergency kit! Remember what we’ve discussed before about personalizing your kit and then let’s get some light in your kit! 1. Headlamp. I extol all the glories of headlamps in this post, but for the sake of keeping this list short-ish, let’s just say that headlamps are an invention I wish I had thought of. They are small, light weight, and strap to your HEAD. That means the light is always shining where you are looking (unlike when you have your child hold the light for you) and they leave your hands free. 2. Flashlights. There are so many varieties of flashlights it can be hard to pick just one! I love Streamlight for their light output. LED flashlights are good because they use less battery power to run and the bulbs can’t break. Not too long ago I found some fantastic little LED lights in the camping section of WalMart for $1.00 each. Keychain lights are great for emergency kits as they are very small and can be clipped to a zipper on the outside of your bag for easy access. Some flashlights are even designed to be usable as a lantern to provide area light rather than directed light. Make sure you check the batteries in your lights when you rotate your emergency kits. 3. Glow Sticks. Glow sticks are cheap, bright, safe, and don’t require batteries. Particularly plentiful in stores around holidays like Independence Day and Halloween. Most glow sticks put out a good deal of light for 6-8 hours. A couple of cautions with these–the thinner varieties (marketed as bracelets and necklaces) can spring leaks if handled too roughly, and once the inner core is broken and the chemicals are mixed, they only have one life, so if your glow stick gets activated in your pack on accident it may not work when you need it. These also tend to lose glow power and reliability as they age, so plan on rotating them regularly. 4. Reusable Glow Sticks. My favorites are manufactured by UVPaqlite. These glow after being exposed to a light source, so you’ll need some way to get them charged (sunlight or another flashlight work great). They do not put out as much light as a single use light stick, but they can provide enough to see by are reusable forever. Kind of like a glow in the dark sticker on steroids. I review UVPaqlite products here and here. 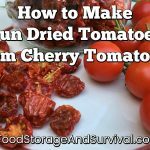 I love these in my kids’ kits and have used them camping with the kids frequently. They can have light at night that isn’t obnoxious to the rest of the tent dwellers AND doesn’t use up batteries! 5. Candle Lantern. UCO makes a great little candle lantern perfect for packing. We have the micro version that uses tea lights. Small and lightweight, it can provide ambient light rather than direct light like a flashlight. If you’re going to use a candle lantern, be sure your candles (which could mean your entire kit) are not kept where they will melt all over the place and that you have matches or a lighter to get them lit. 6. Cell Phone. I’m listing this one last even though it is usually my go-to when I need a flashlight. Your cell phone probably has a light on it that can be used for a flashlight. The drawback to using it is that it siphons battery power from your phone at an amazing fast rate and you will probably want to keep your cell phone usable for purposes other than light in an emergency. With the options available, you should be able to get more than one light source in your kit without making it too heavy. What do you have for light in your emergency kit?